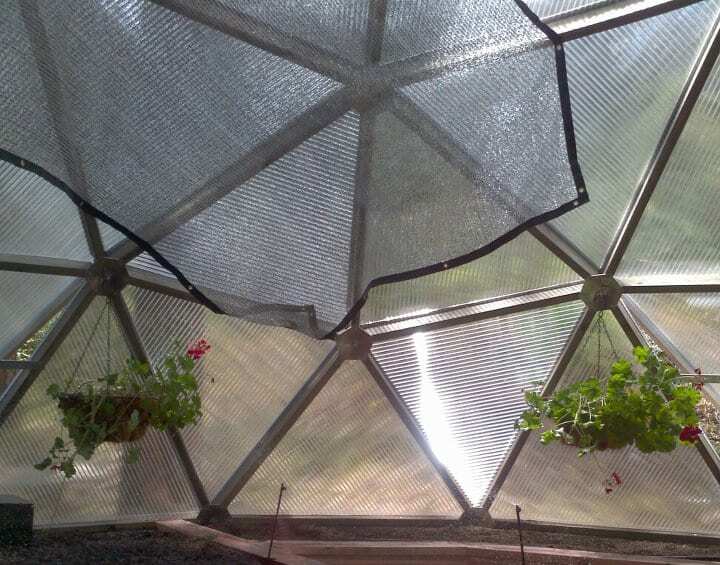 The shade cloth is very useful in keeping the Growing Dome cool during the heat of the summer by cutting down on the amount of sunlight transmitted into the greenhouse. The shade cloth reduces the amount of summer sunlight by 50% without depriving the plants of too much light. It is sized to specifically fit each size of Growing Dome and comes with strings and screw eyes to connect it to the inside. Most people put it up in June and take it down in October.